After are quick little stint with Tim Kord and the Blue Beetle it seems were off in a new direction this issue with Kara Zor-El. After Red Hood I’d say she is easily the most interested I’ve been for a character showing up after first seeing the games roster. So how is this intro handled and how is the direction of the new arc? Find out after the jump. 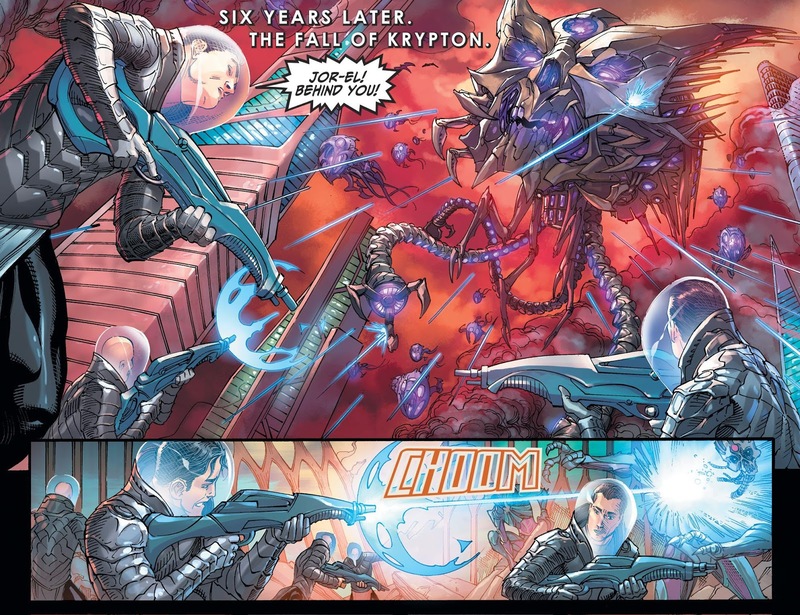 Krypton was honestly the last place I expected this issue to take place. We jump off with Kara herself working up the courage to make a jump off of her own. 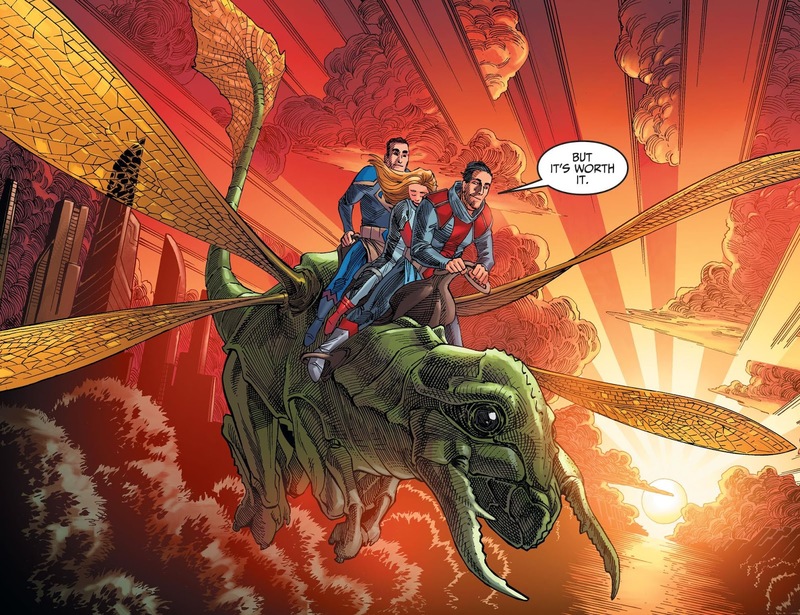 With Kara accompanied by Zor-El and Jor-El she seems to be taking part in what is her first flight on a creature I’m sure has a name somewhere in the Superman lexicon. We get a bit of history between Zor and Jor before cutting to after the flight where Kara has seemingly broken her arm on the landing and is in need of sedation. Only three issues into these reviews and I feel I’m a broken record in talking about Tom’s strong cold opens and character introductions, but hey when it’s a strong suit it’s a strong suit and it’s worth mentioning until it stops being true. Beyond that though this piece becomes more relevant later when used for context and brevity. 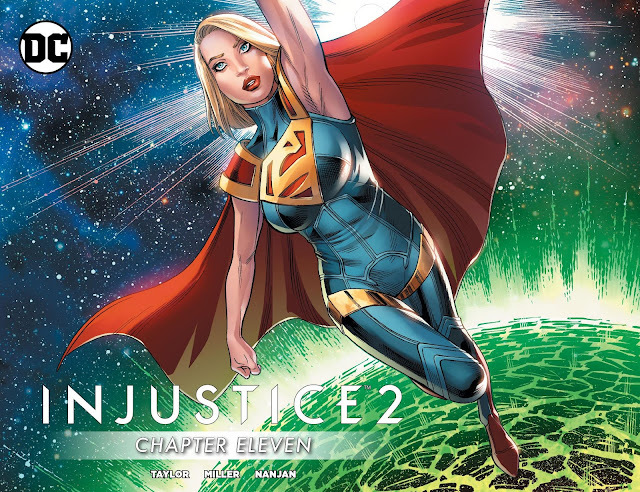 Afterward we jump to what seems like a whole new origin for Superman and Supergirl as we see a different story to the destruction of Krypton. We see Jor-El and Zor-El fighting Brainiac on Krypton as leading up to the departures of both Kara and Clark. This new origin feels a little forced to me in needing to fit to the roster of the game, but I can’t complain too much as it does work pretty well in the process. It’s also worth noting I feel the art takes a bit of a dive in this issue as the backgrounds and creatures all look great, but a lot of the time the character’s just look off or slightly skewed in a way. While the the workings of the issue feel a little forced I do think it’s worked in well enough and it’s topped off by the end with an interesting twist. Continued great character moments and introductions are bogged down by what feels like forced changes due to game requirements and sometimes mixed art.